Hey what´s up? Everything is going pretty here this week and things have settled down a little more. We´ve been starting to work with the ward members a little more and have been finding a little bit more people to teach. Some of them seem like they´ve got a lot of potential too. 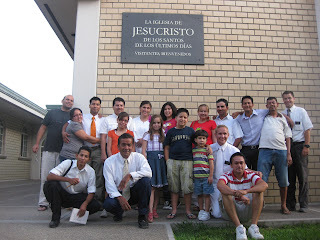 Elder Running is a good companion and it seems like we´re going to have a lot of success together the rest of this transfer.. We did end up baptizing the Hermana Alba this saturday and she got confirmed on sunday! It was a really awesome experience to see here go through those steps. She seems so happy now and I know she is going to be a good strong member in the church. She´s got a lot of faith in things and it inspires me to increase my faith too.. Her daughter said she still doesn´t feel ready but that´s alright. We´re going to keep on visiting them and when her daughter feels ready to make that step we´ll help her along the way too. It´s starting to heat up here but isn´t completely horrible still. I don´t know how the summer will be but at least we´ve got some breeze in the air here. I guess in some other parts it´s way more of a dry heat and there is like absolutely no wind! So that would kind of blow, hahaha. One of the other familys we are teaching right now is pretty cool. The dad, Ernesto, seems like the strongest one so far but his foot is hurt. He couldn´t go to church that week because he´s waiting on his foot to heal up some more but it sounds like next week he´ll get a ride there. 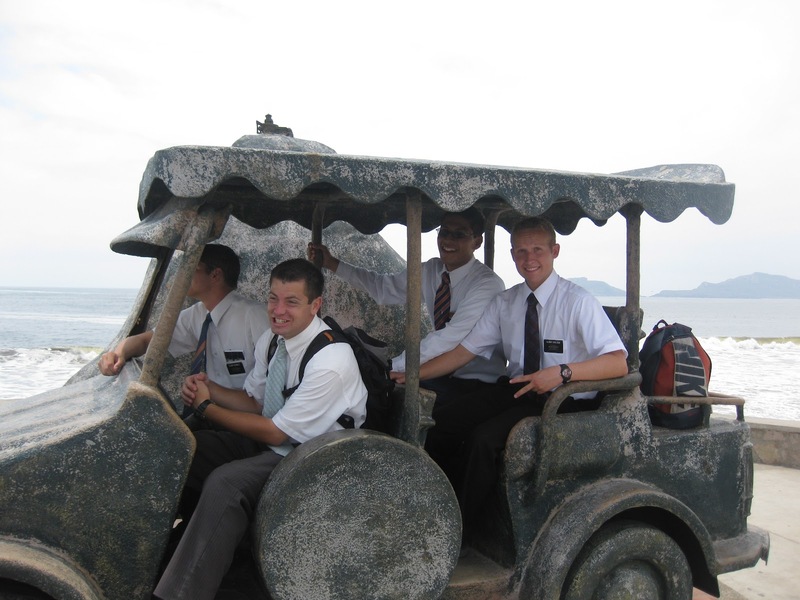 Getting to church is probably the hardest thing to do still with the investigators. I hope everybody has an awesome week. I´m looking forward to see what will happen this next week. Thanks for all your support and prayers! Photos: Baptism of Hna Alba, and our District today!